The idea of being able to travel back in time is an attractive one to writers and film-makers, being the concept behind a number of best-sellers and award-winning films. Historians often use a different kind of time travel, using their imaginations to reconstruct the past based on such evidence as they can find, trying to enter the consciousness of someone who lived long ago. 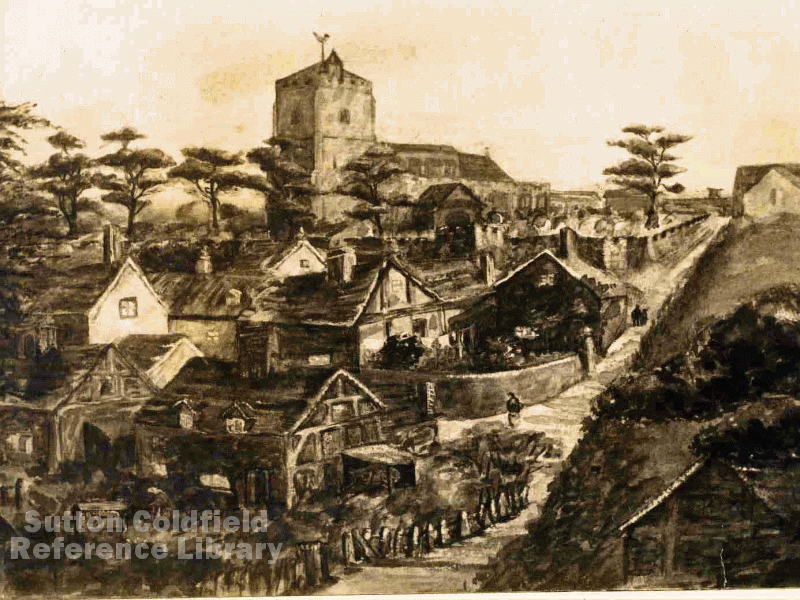 Often a particular place can seem to be full of history, and such a place in Sutton Coldfield, Coleshill Street at the top of Trinity Hill, inspired local author Janet Jordan to write about people who may have passed by there centuries ago. The characters in her new book, Tall Tales from the top of Trinity Hill, are fictional, but they all see some familiar Sutton scenes, particularly the steep defile of Trinity Hill and the view across the valley below. An Anglo-Saxon girl carries water up the hill to the wooden houses of the earliest settlement of Sutton, and the twelfth-century forest ranger still lives in an old Saxon house, but intends to build a better one. He was employed conserving the deer in Sutton Park, but his grandson was a smallholder living in the thatched cottage in Coleshill Street that his grandfather had built near the new church. The next character sees the building of the stone house (St. Mary’s Hall) on Trinity Hill, and she is followed by a boy who is one of the first pupils at the Grammar School founded by Bishop Vesey - and so it continues until the present day, when the contemporary character making the observations is not even human. The eighty-one illustrations in the book are drawn from a wide range of sources, all duly acknowledged, as are the historical sources used. The bringing together of all these elements did not take very long, but only because the author has been studying our local history for the last twenty-five years and knew where to look. Janet Jordan’s interest in local history began when she attended a short course similar to one which begins on Wednesday June 4th - “Sutton Coldfield: an Introduction to Local History”, a seven-week course held at Sutton Library on Wednesday mornings. This eighteenth century print from the Aylesford Collection shows Trinity Hill slanting up past the churchyard to Coleshill Street. The drawing may not be very accurate, as the building shown half-way up the hill should be St. Mary’s Hall. 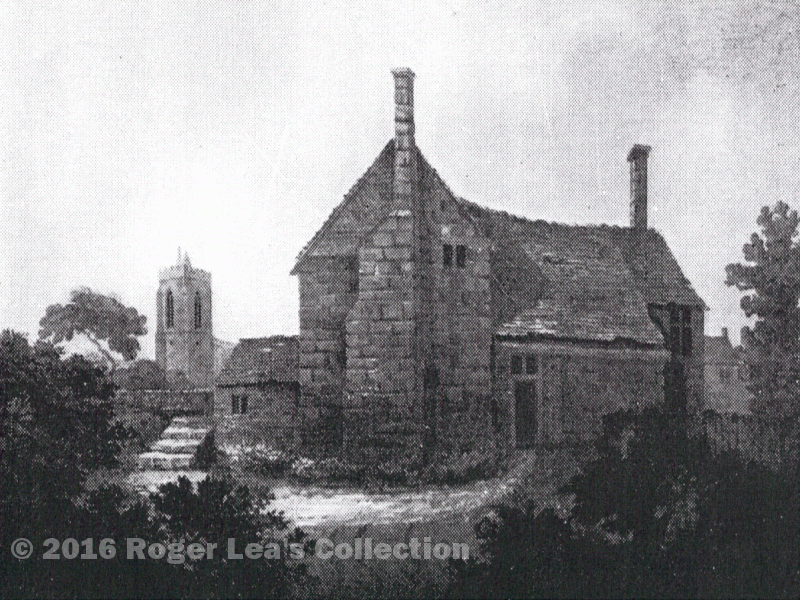 St. Mary’s Hall, later the Schoolmaster’s house, from the Aylesford Collection.